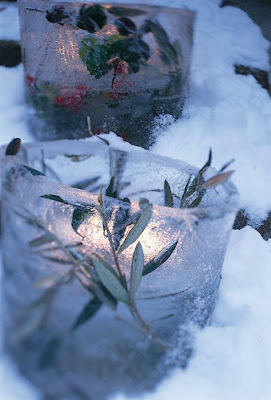 I am in love with these ice lanterns from Design*Sponge. So Easy! And it might not make me feel so generally bitter about frigid weather. See the tutorial here. I dunno...I keep thinking I missed something and then I realize it's old posts.